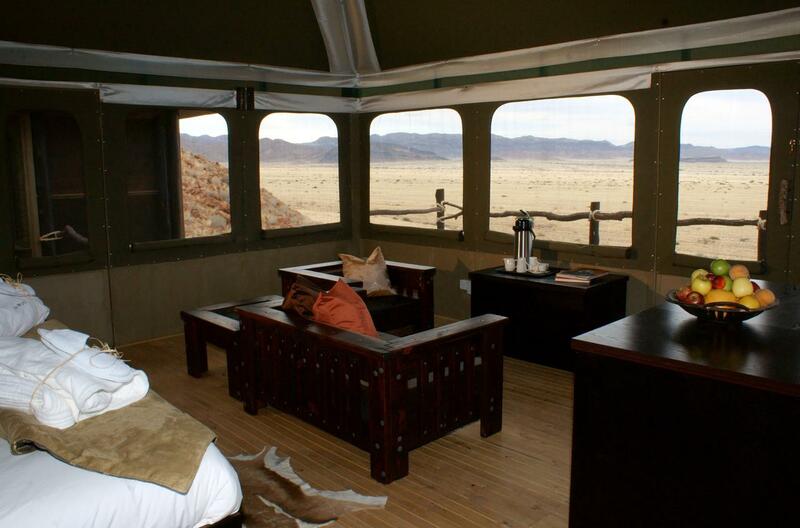 Moon Mountain Lodge is an ultra-luxury tented lodge ideally located at the foot of the Naukluft Mountains. The rooms are large and airy and offer all the comforts of a luxury hotel room with infinite views from your bed or private splash pool. 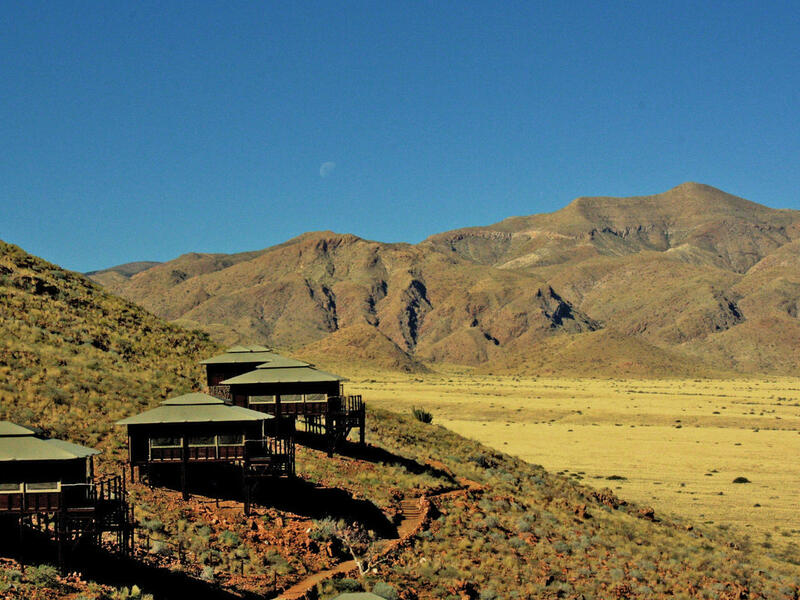 Moon Mountain Lodge is 56km from Sesriem the gateway to the world’s highest dunes in Sossusvlei and close to the quaint little village of Solitaire. 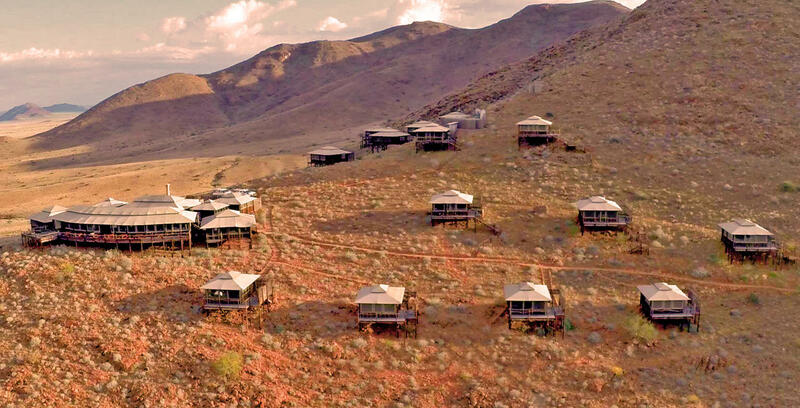 Moon Mountain Lodge offers 17 accommodation units each with private a plunge pool and complimentary toiletries. 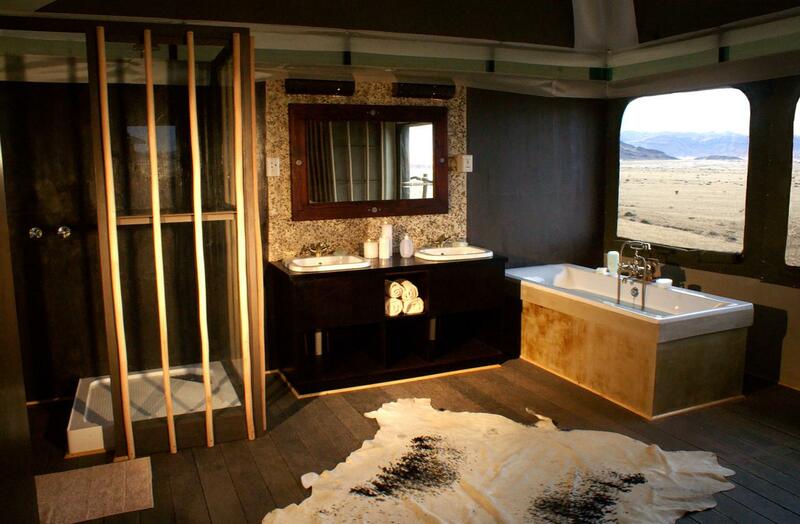 Rooms feature mountain or desert views. 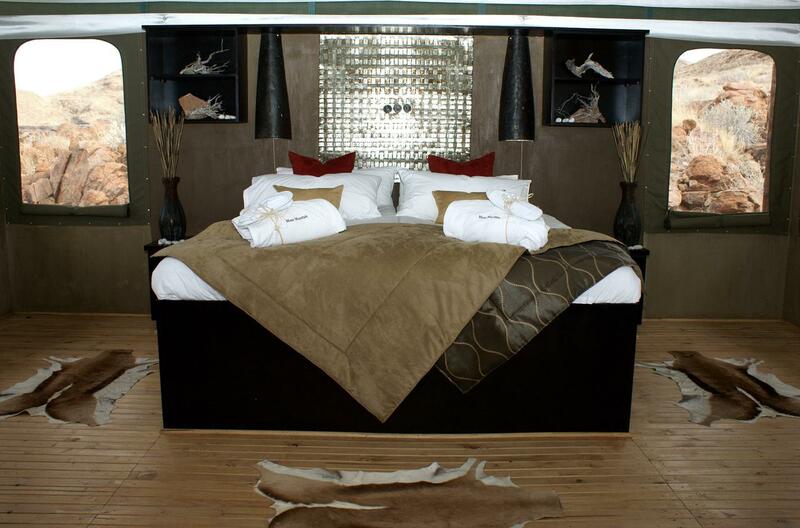 Each accommodation is individually decorated. The Executive suites have detached private bathrooms. Bathrooms include separate deep soaking bathtubs and handled showers with rainfall showerheads. 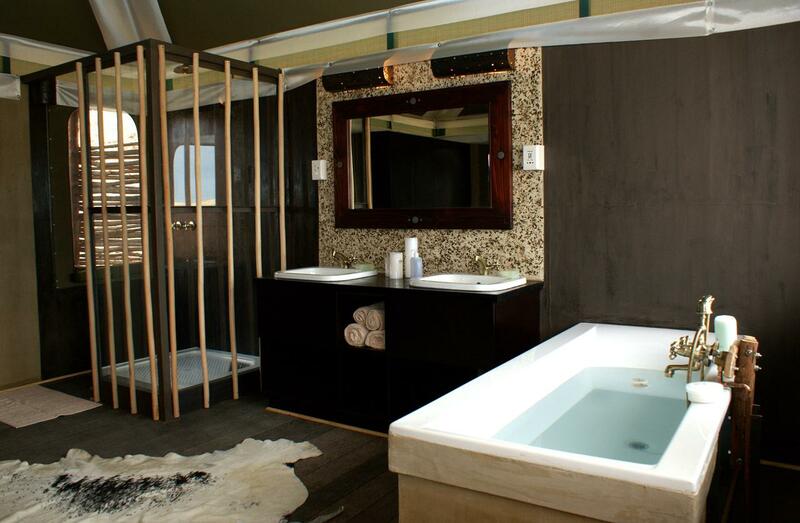 The double sinks allow for ample space, bathrobes and slippers are provided. Housekeeping is offered daily and wake-up calls can be requested. Our Nebula Restaurant specializes in local cuisine and serves breakfast, lunch, dinner, and drinks. Alfresco dining is possible on the outside deck (weather permitting). 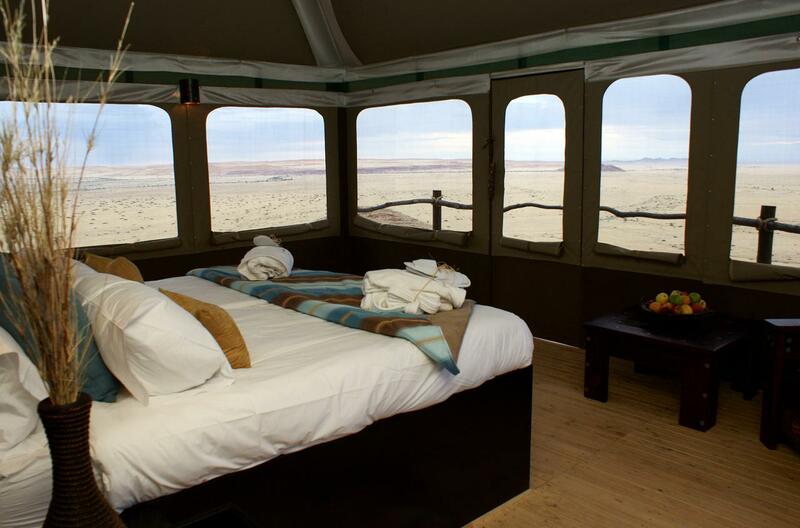 Our fully licenced Cosmos Bar serves drinks throughout the day and is adjacent to a large deck overlooking the desert plains and Petrified dunes in the distance. *Children between 0 – 5 years sharing with parents are free of charge on DBB Basis. * Children between 0 – 5 years sharing with parents are free of charge on DBB Basis.